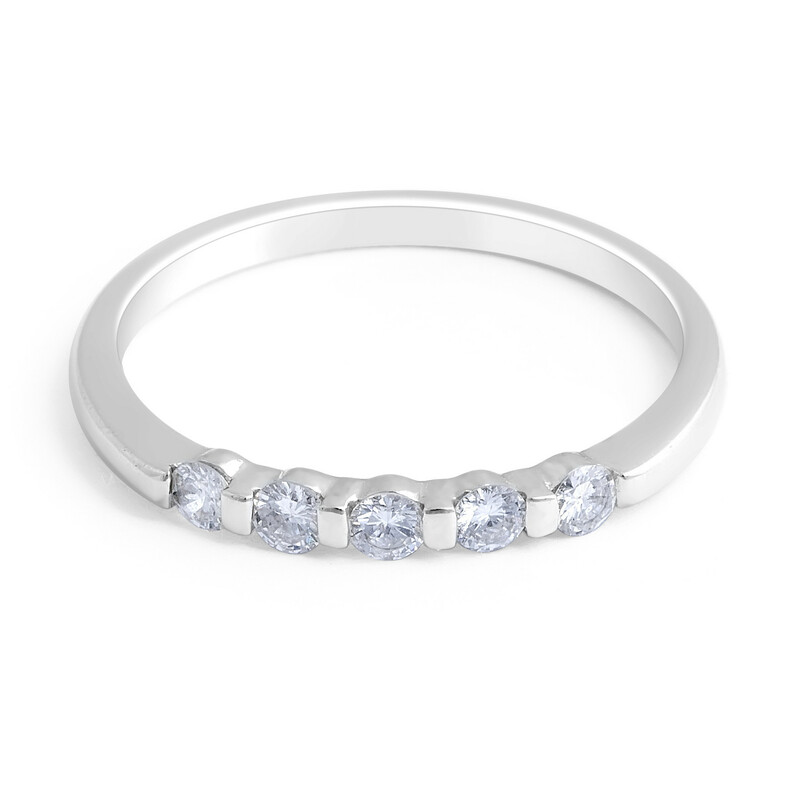 This classic and delicate 18K white gold diamond wedding band has 5 beautiful round diamonds totalling 0.22 carat in tension setting. The setting gives an impression of diamonds floating on the band which enhances the size and sparkle. 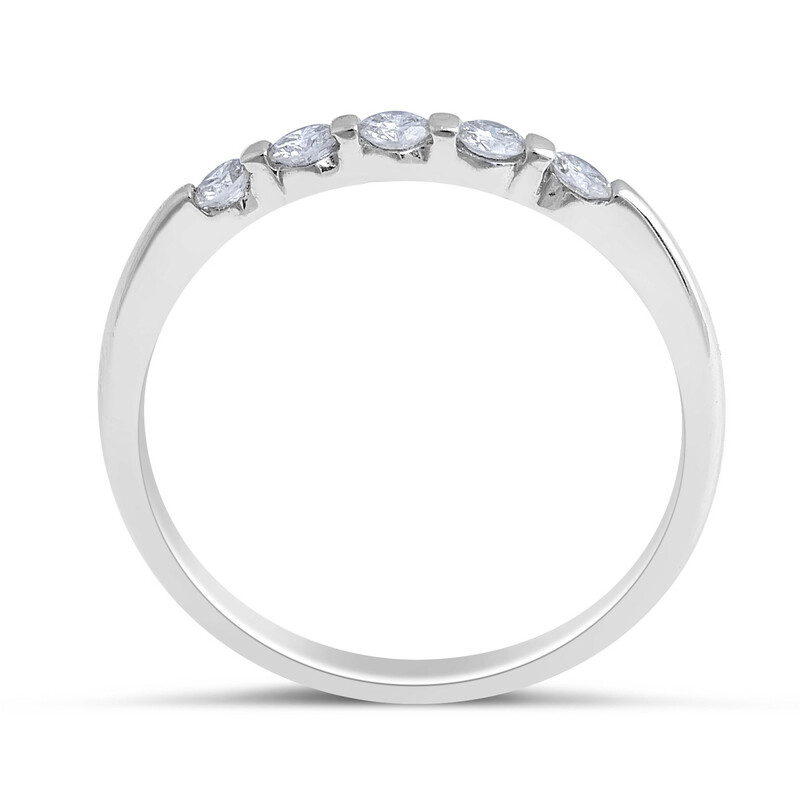 The ring suits a woman who wants her wedding diamonds to be centre of the show. 18K White Gold Diamond Wedding Band in Tension Setting 5 Round Brilliant Cut Diamonds Total 0.22 Carat Gold weight: 1.66 grams.